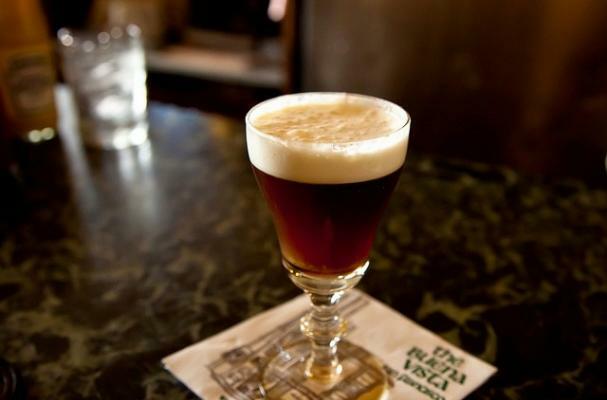 If you are looking for a "pick me up" or just a sweet night cap, Irish Coffee is the answer. Irish cream, like Bailey's, is mixed with Irish whiskey and freshly brewed coffee to make a beverage that is bold in flavor and gives you an energy boost. If you are concerned about your caffeine intake, decaf coffee works in this recipe as well. Top off this boozy caffeinated drink whipped cream and chocolate shavings. An Irish coffee is a dessert in a glass. Add irish cream and irish whiskey to glass mug. Fill with freshly-brewed coffee and top with whipped cream and chocolate shavings. Serve immediately.